Fixes all types of waders and boots. Hundreds of outdoor and household uses. 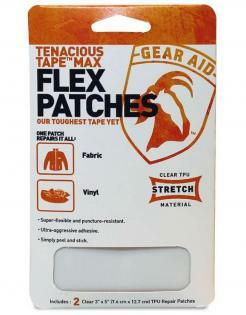 Tenacious Tape Max repairs rips, tears and holes in waders and fabrics. 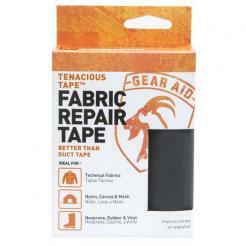 GA Tenacious Tape 3" x 20"
Tenacious Tape by Gear Aid is an all-purpose, weatherproof repair tape that fixes rips, holes and gashes in almost all of your outdoor gear. Fixes all types of waders and boots. Hundreds of outdoor and household uses. For a fast cure, use Aquaseal with Cotol-240 Cure Accelerator. 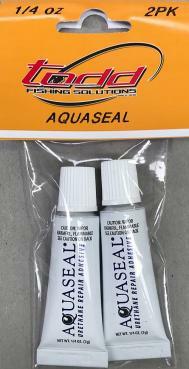 Aquaseal UV cure - activated by the sunlight for ultra fast curing. 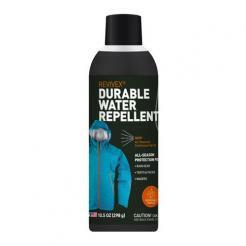 ReviveX Durable Water Repellent, 10.5oz, is a breathable DWR that repels water, oil, and stains.